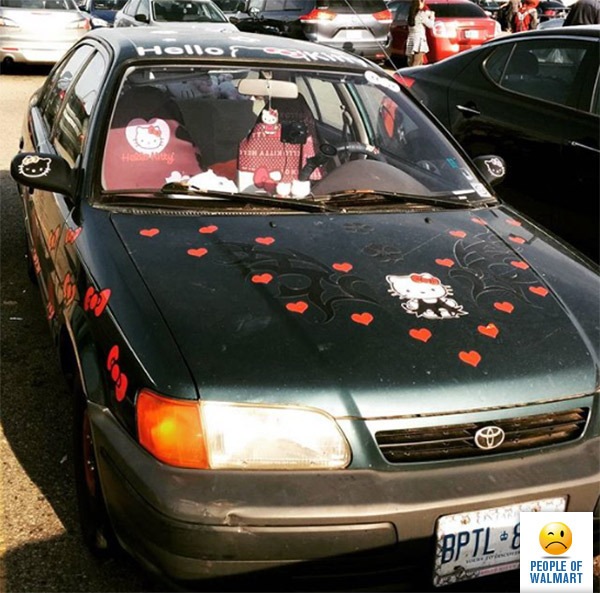 Hello Kitty, goodbye any chance at a stable relationship! 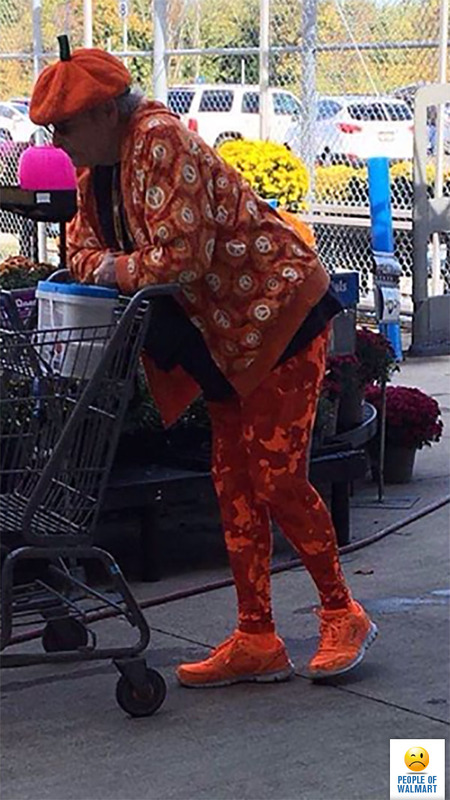 Glad to see I’m not the only one totally jazzed up for fall. Me and my man, pumpkin spiced errrythang! 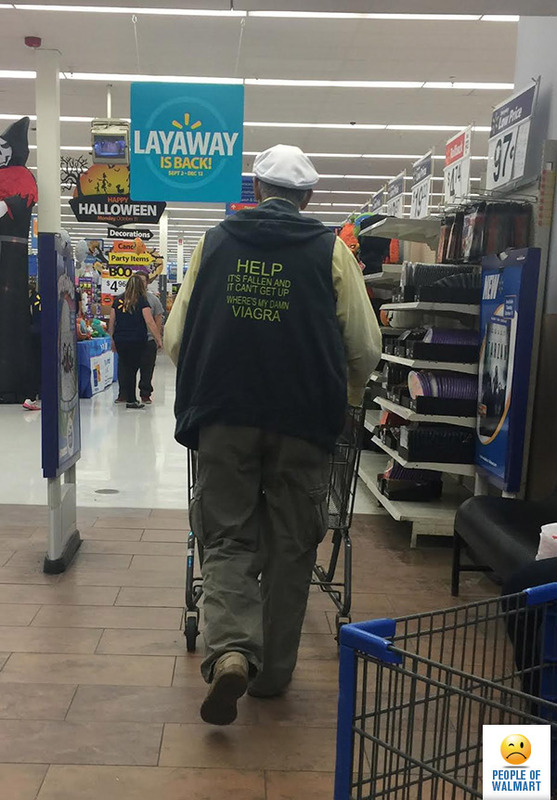 That’s my type of old man right there. If Walmart was smart they’d hire him to be a greeter on the spot. He seems like the type of dude that would make your day from a simple exchange of how-do-you-do’s. 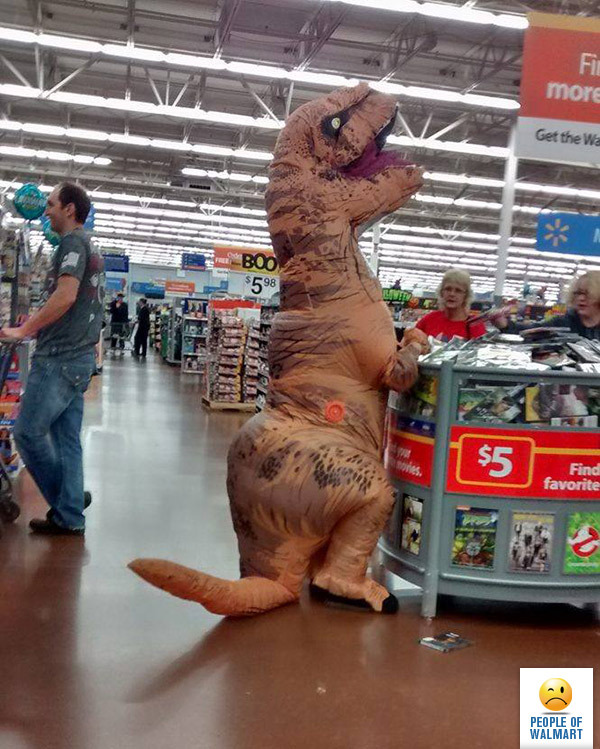 Shoutout to those older women who are unfazed by the dinosaur because they are locked in on some killer DVD deals.